Brand-new, never been worn, tags still attached and never been altered! Purchased from Kleinfeld Bridal in NYC. 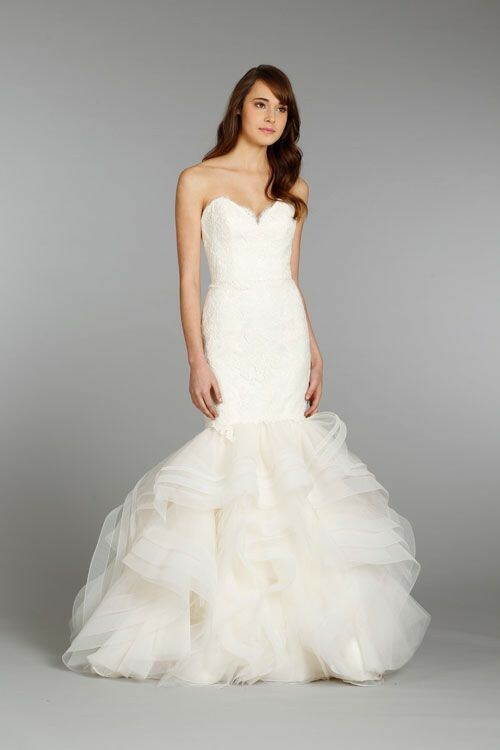 Beautiful lace and tulle fit and flare gown with a sweetheart neckline. The bow on the front can be easily removed. There is absolutely nothing wrong with this dress - I just changed my mind and I'm looking to sell it to another bride to wear for the very first time on her wedding day! It has been stored in a dress bag and has never been around smoke, dog hair, etc.